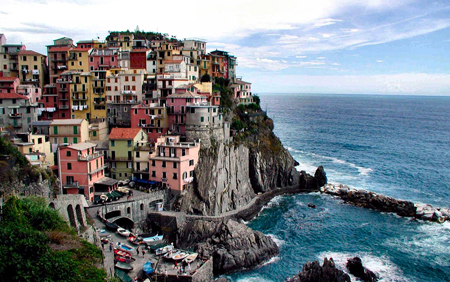 Cinque Terre, the five typical villages, are located along the broken and craggy coast, dipped in the nature, the so called macchia mediterranea. During the centuries men have shaped this area with the aim to exploit the soil, but without disfiguring the landscape and its ecological equilibrium. 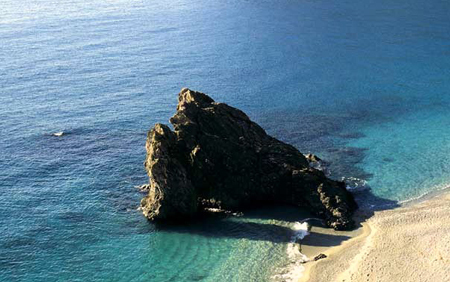 They enhanced the beauty of this landscape realizing one of the most beautiful places in Liguria. 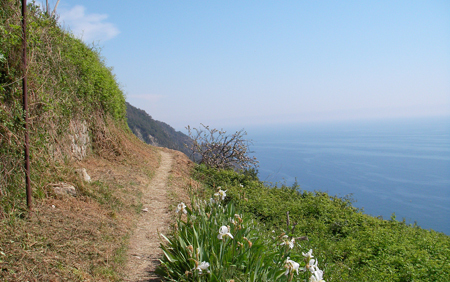 Walking on the trails from Levanto to La Spezia, the tourist will encounter the villages of Monterosso, Vernazza, Corniglia, Manarola and Riomaggiore. 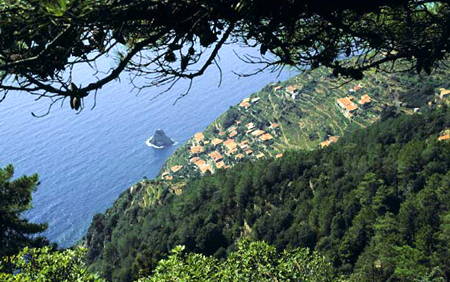 These 5 villages, with the sea and the coast, are included in the National Park and in the UNESCO World Heritage site. Here the sea and the country melt into one zone: 18 kilometres of coast rich in bays, beaches and deep seabed, dominated by the mountain chain, developing in parallel to the coast. The terraces, planted with vineyards, have ancient dry-stone walls: a natural heritage of a wide range. 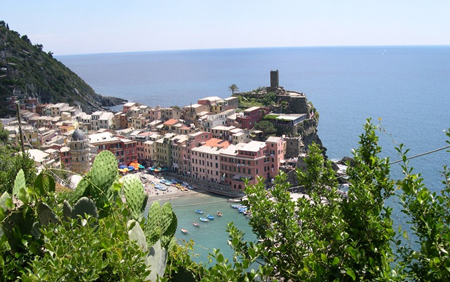 In each village of the Cinque Terre and of the coast you will find many restaurants where you can taste typical dishes, coffee bar where you can refresh yourself, shops where to find typical food products and handicraft. Attention: cars are not recommended due to tight roads and lack of parking. 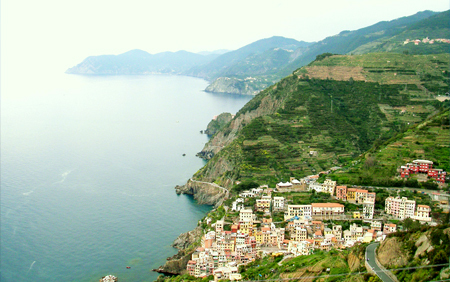 You can visit Cinque Terre easily on foot, by train or by boat. 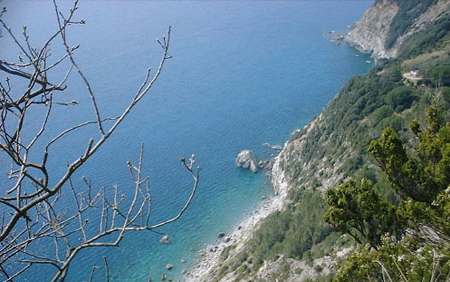 From Levanto you can take the trail and in two hours and a half you can reach Monterosso. From here on the trails are no more free of charge. Trails are not always easy, but the sight is wonderful and finally pays the hard walk. Trains travel each 35 minutes and they are the easiest way to visit all villages. 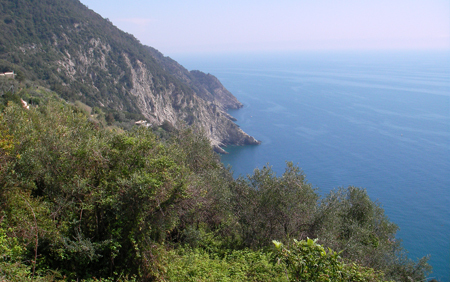 The “5 Terre card” is a one day ticket that allows getting the train and walking on the trails all day long in the section between Levanto and La Spezia. A regular boat service connects all day long Levanto to the Cinque Terre and to Portovenere. From here on you can go to Lerici, and undertake the islands tour (Isola Palmaria, Isola del Tino e Isola del Tinetto). Every other day Levanto is connected to Portofino and to the Aquarium of Genoa.